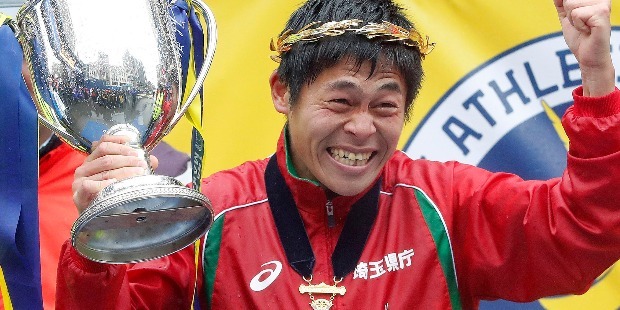 The extraordinary success story of Japanese Marathon Legend Yuki Kawauchi is indeed hard to believe. He has become legendary for his unsatiable quest in the world of distance running. His magnificent Marathon records will be nearly impossible to break or equalled by anyone, in the present generation. He is simply out-of-this-world marathoner! Yuki Kawauchi has proved to the world of athletics that passion, love, hard work, determination, disciplined training and the will to keep going will give you the sweetest fruits in life. His fearless technique of running has made the Kenyans, Ethiopians and other countries’ marathoner wonder – how does he do it with so much conviction and confidence! In Japan, Yuki Kawauchi is popularly known as the ‘Citizen Runner’. Yuki has set his ultimate goal of running 100, sub-2:20 marathons, before the Tokyo Olympic Games 2020. 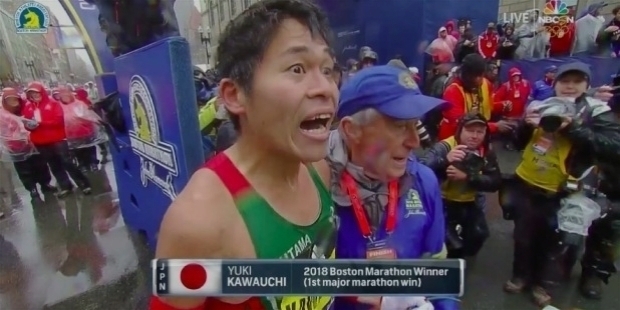 Yuki Kawauchi became the first Japanese to win the Boston Marathon 2018 title after 31 years. In 1987, Toshihiko Seko from Japan had won the Boston Marathon title. 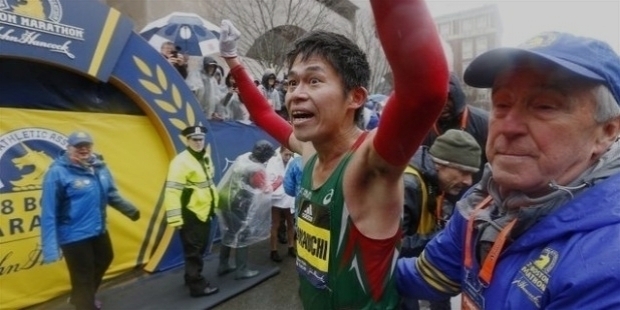 Even though, he has won many marathons, the Boston Marathon title is Yuki’s first major title in his career. He clocked 2 hours, 15 minutes, 58 seconds in the most compelling conditions of running to triumph ahead of Kenyan Geoffery Kirui. Delighted with his win and the $150,000 prize money, Yuki is contemplating to turn professional next year. Unlike Kenyans, Ethiopians and other African nations’ professional marathoners, Yuki works in a government school as a clerk from 1 to 9 pm. He is his own coach and trains all alone in extreme trails. Yuki Kawauchi was born on the 5th of March 1987, in Setagaya, Tokyo. A gifted athlete, Yuki started running from a very young age. 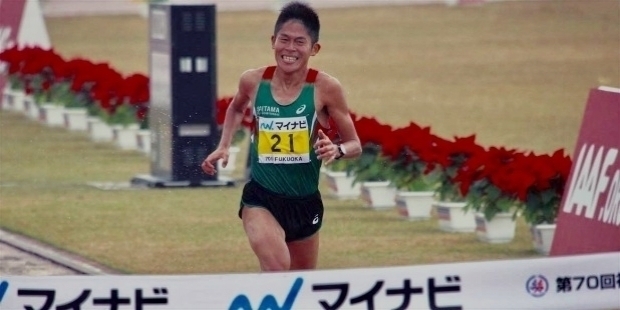 Initially, he used to practice running with his mother Mika Kawauchi. During his high school, he started training with the track teams. 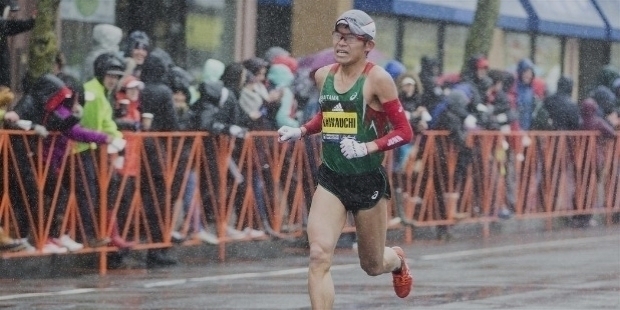 His father Ashio Kawauchi’s demise and an injury restricted Yuki’s running. During his graduation at Gakushuin University, he continued with his first love – running. Yuki enjoys running, so he disliked the typical Japanese route to professional running. He entered race by paying his own expenses. In 2008, Yuki clocked 1:03:22 at Ageo Half Marathon and stood third in the race. 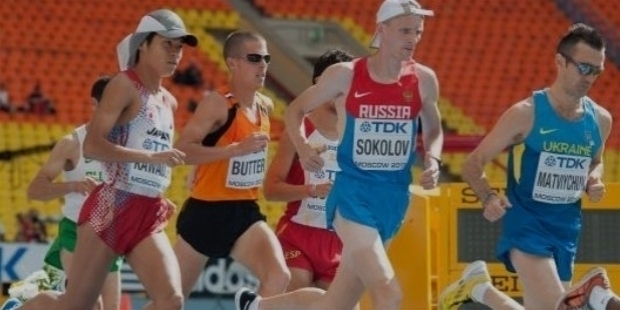 He trained hard and entered the world of marathon in 2009. Yuki Kawauchi made his marathon debut to clock 2:19:26, finishing 20th at the Bepu-Oita Mainichi Marathon in 2009. Yuki bettered his timing at the Tokyo Marathon, clocking 2:18:18 for the 19th place in just a month. He chopped off another 45 seconds at the Fukuoka Marathon in December 2009. He improved his place, coming 13th clocking 2:17:33. In 2010, at the Tokyo Marathon, Yuki clocked an amazing 2:12:36 to miss the podium finish by finishing 4th. In just a year, Yuki was able to chop off almost 7 minutes. He stood 10th at the Fukuoka Marathon, clocking 2:17:54. In the 2011 Season, Yuki surprised self and others by finishing 3rd at the Tokyo Marathon, clocking his personal best time of 2:08:37. Ethiopian Hailu Mekonnen won the title clocking 2:07:35, followed by Kenyan Paul Biwott, who clocked 2:08:17. In spite of trailing behind at the 35km, Yuki surged ahead of the fourth and fifth finishers to give his best performance till date. His superb performance earned him the selection for the 2011 World Championships in Athletics in Daegu, South Korea. Yuki finished 18th at the World Championship Marathon in Daegu. Together with fellow countrymen Hiroyuki Horibata and Kentaro Nakamoto, the Japanese team won the Silver medal in the 2011 World Marathon Cup. His amazing endurance ran out, just 600m before the finishing line at the 50km Okinoshima Ultramarathon, in June 2011. Yuki collapsed because of heat stroke and could not complete the race. Unlike other marathoners, Yuki’s body recovers fast, to allow him to participate in various marathons around the world. His passion to compete saw him achieving the 4th place at the Osaka Marathon and winning the Bronze medal at the Fukuoka Marathon. Politics in Japanese Athletics Federations saw Yuki Kawauchi missing the 2012 London Summer Olympics. In spite of being the highest finishing Japanese in the Olympic qualifying race, the Japan Association of Athletics Federations stated that Yuki’s 2:09:57 was not fast enough to earn a podium finish at the Olympics. Yuki stated the race was a warm up for the second qualifier in Tokyo. Two weeks later, Yuki was ready at the starting line of Hofu Marathon. He won the Silver medal behind Mongolia’s Serod Bat-Ochir, such is Yuki’s passion for marathon running. The beginning of 2012 Season was disastrous for Yuki. While he bettered his personal best in Half Marathon, clocking 1:02:18, his 14th place finish at the Tokyo Marathon ruined his Olympics’ dream. To prove his point that Yuki was a disgrace with his below-par performance, he shaved off his head for disappointing his supporters. Having failed to qualify for the London Olympics, Yuki trained harder and with a strong determination to overcome his disgraced performance. After the Tokyo Marathon, Yuki participated in 9 more marathons in 2012. He won the titles at Kasumigaura Marathon, Hokkaido Marathon, Sydney Marathon, Chiba Aqualine Marathon and Hofu Marathon. Yuki Kawauchi’s determination to never give up saw him returning to 50km Okinoshima Ultramarathon in 2012. This time, he surprised one and all by producing a course-record, clocking 2:51:45 for the 50km race. Yuki followed late New Zealand running Coach Arthur Lydiard’s advice to focus on distance work, to improve his speed. Yuki clocked 3:50.51 and 13:58.62 for his personal best in 1,500m and 5,000m at Nittai University track meet respectively. Having achieved the 6th place-finish at the Fukuoka Marathon, Yuki won the Hofu Marathon after two weeks, clocking 2:10:46. Yuki Kawauchi became the first marathoner in the world to record the shortest period of time, between two sub-2 hours 11 minutes’ marathons. Yuki’s amazing feats are second to none. His humbleness is infectious. He simply loves running. His passion is unparalleled. He pays all his travel expenses to take part in various marathons, around the world. He does not boast or pose as a legendary figure. Instead, Yuki is simply a lovable marathoner, who has become an inspiration for many distance runners. The Egyptian Marathon Organizers agreed to take care of Yuki’s travel expenses for the January 2013 race. 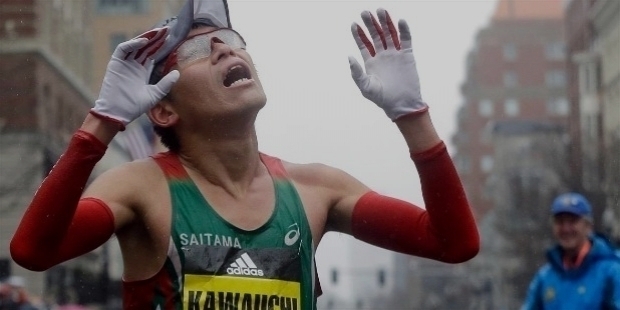 Kawauchi arrived at the airport only to find that he had forgotten to carry his passport. After missing his flight, Yuki bought a $9,000 ticket for the next flight. The $9,000 was equal to his quarterly salary. He arrived at the starting point. Yuki clocked the fastest ever marathon time of 2:12:24 at the Luxor Marathon in Egypt, to win the title. Unlike other marathoners of the world, Yuki does not relax after winning a race. He is immediately ready for the next one. In less than 3 weeks, Yuki won the 2013 Beppu-OITA MAINICHI MARATHON, clocking 2:08:15. He achieved three distinctions by winning the race. Yuki topped the Japanese rankings, personal best marathon time and breaking Gert Thys’s 17-year-old course record. For Yuki, marathon running is fun. Two weeks after the Beppu-Oita Mainichi Marathon, he triumphed over a number of professional runners at the Kumanichi 30km Road Race. Yuki clocked a course-record timing of 1:29:31. It was also his personal best. Yuki’s supporters and fans follow him to various venues, he competes. 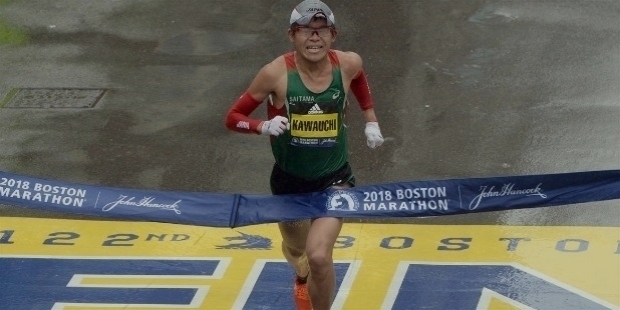 Kawauchi has become a marathon sensation around the world. He receives more than 100 marathon invitations yearly. At the 2013 Seoul International Marathon, Yuki bettered his personal best by clipping 1 second for his 4th place. He won the 2013 Nagano Marathon in extreme cold conditions. He was unlucky to miss the sub-2:09 finish. 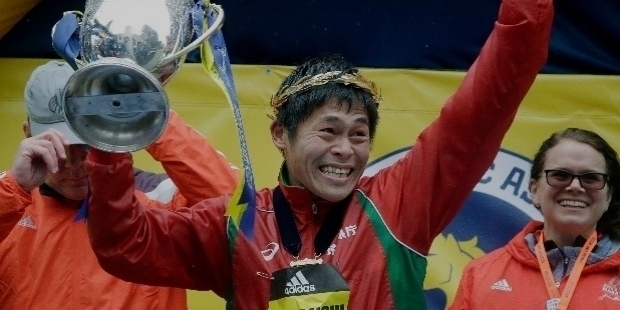 However, he became the first Japanese marathoner to win since 1999. Yuki won Chitose and Gold Coast Marathons in 2013. In July, he matched Nicolas Manza’s course-record at the Gold Coast Marathon. In the year 2014, Yuki won the Kumamotojo Marathon, Saga Sakura Marathon, Tokushima Marathon, Chitose Marathon, City-to-Surf Marathon, Fukuchiyama Marathon, Naha Marathon and Hofu Yomiuri Marathon in Japan and Australia. He stood 4th in Lake Biwa Mainichi Marathon; 9th in Hamburg Marathon; 3rd in Gold Coast Marathon and Asian Games; and 11th in New York City Marathon. From 2015 to 2017, Yuki had won a spectacular 12 titles in 33 marathons he had competed. 2018 seems to be Yuki’s year. So far, he has competed in 4 marathons and won all the five titles. He clocked 2:18:59 at the 2018 Marshfield Road Runners New Years Day Marathon; 2:11:46 in 2018 Kitakyushu Marathon; 2:14:12 in 2018 New Taipei City Wan Jin Shi Marathon; and 2:15:58 in 2018 Boston Marathon. Achieving an outstanding 100% results in just four months, Yuki Kawauchi has put his stronghold in the world’s marathon stage.